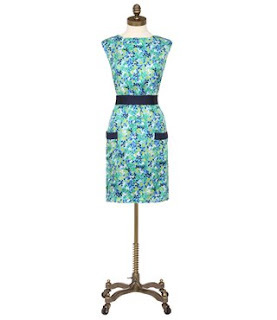 Kimball Dress (the same print was featured as a top in the fashion show segment). This is the dress I am going to wear for graduation in May. I love the colors! Looks like a fun time! Did Martha give out any goodies?? Your dress is so cute, and I love the colors too! Your dress is gorgeous! Love the pattern and the colours! I love Martha. Cute dress!! 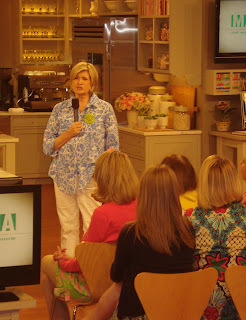 I still loving seeing photos from last weeks Martha episode. Y'all look so cute and springy. I LOVE your dress, great choice! It looks great on you. Kate, you have so much fun! 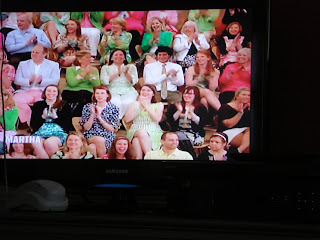 It looks like you had so much fun :) Cute Lilly...love the graduation dress! Great photos. You all look so lovely! Your pictures are fabulous! 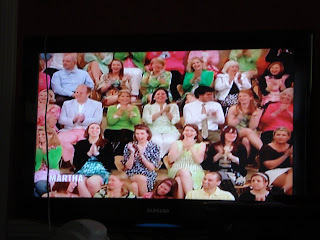 I spotted you three on TV a number of times, yay!! Love your dress and it is just perfect for your graduation. Also, got your note about the domain. UGH for your name being taken, but I think nauticalkate.com would be perfect for you too! That is so exciting! 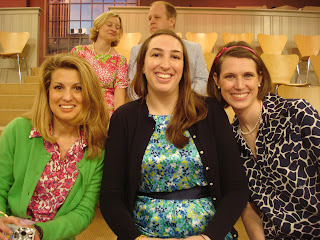 I'd love to go to a taping of Martha! THat is AWESOME!!! Looks like tons of fun! It sounds like you all had a fabulous time! And an exciting one, as well! Totally a once in a lifetime event! You looked great. Dress is fabulous. I am so jealous, it looks like you girls had some much fun!! I love your Lilly dress by the way. PS- I wanted to check and make sure you got the photos I emailed you?? 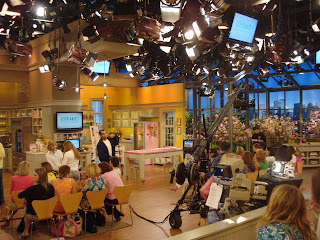 I LOVEEEE going to live tapings. So much fun. I've been to so many, it's ridiculous. I can't get enough. The View seriously sends me tickets allll the time. I heart Martha's letters in her studio. Nice choice for graduation, I'm sure you will look fantastic! You were there!!?? AHHHHH!!!!! I actually just started watching this last night (tivo), but it was late so I didn't finish. I told hubby that if he deleted it he was a dead man. Now I know to look for you! So fun! 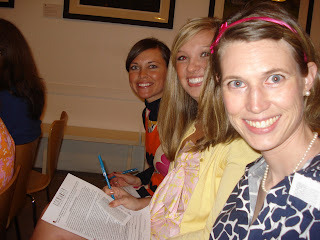 I'm so jealous... You looked beautiful and it is so neat to see all the preppy bloggers in one place! I was wondering if you want to exchange links again, just change Chic Banana for Deco Love. I’ll add you to my new blogroll :) I know you followed Chic Banana, but I'll erase it soon, so maybe you want to follow me at Deco Love as well. 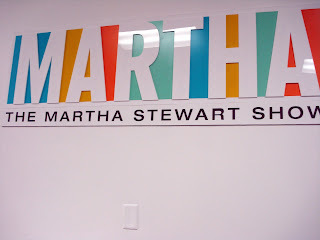 Btw, lovely outfit for Martha's show! super jealous! all of you girls looked fab! I caught you on tv before the commercial! Great dress! How fun!! I love the print of your dress too! Sorry, I realize I am a bit behind commenting. It looks like you had the greatest trip! I must admit I'm still super jealous that you got to go. You look adorable, by the way!